This website has been woefully out-of-date. 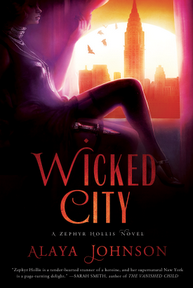 I hope to do more soon, but for now my bibliography page is up-to-date with my latest short stories and novels–INCLUDING the forthcoming sequel to Moonshine: Wicked City! See the cover below! I’m also planning to actually use my mailing list for very infrequent updates as I get closer to publication. If you subscribe (email me asking to be on it), you’ll hear first about an ebook exclusive short story I will be writing about how Zephyr came to New York City.